Warm greetings from Open Gate Sangha! 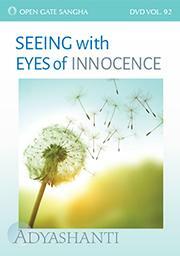 In this email you will find a listing of new and recommended CDs, Downloads, DVDs, and Books from Adyashanti and Mukti. Winter Specials and Free Downloads are listed throughout this email. Winter Specials are available online through January 15, 2019. Awakening is not just about finding unity in all of existence, but also embracing the unique way that unity expresses itself through you. 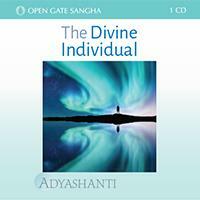 In this highly regarded retreat talk, Adyashanti explores . . . Authentic spiritual practice transcends our common limited views about what practice is and can be. In some nondual circles, the word “practice” can be even seen as a “bad” . . .
CD / AUDIO DOWNLOAD ~ Holiday Special! Almost all human beings get attached to ways that they see themselves, others, and life. Such attachment leads to suffering, both individually and collectively. But what is at the root of . . .
CD / FREE DOWNLOAD ~ Holiday Special! There is an extremely common tendency in spirituality to be pursuing or waiting for an awakening experience to come along. Yet this anticipation is the very barrier to awakening. . . .
We are all one divinity, yet we are also all individual expressions of the divine. As Adyashanti illustrates in this 2018 Vancouver Intensive, we can either try to escape the . . .
An essential part of the spiritual journey is dealing with the fact that life is a friction of opposites, both inside and outside ourselves. Whether the polarities are good and evil, ease and . . . If you are on the search for true being, this seeking will always fail. No matter where you look, you'll never find it. This is because your true being is That which is doing the looking. In this . . . There is a deep impulse within us for connection that is extremely fundamental and could be called the “sacred.” This impulse is also a discovery of what we are in our essential nature, In this . . . 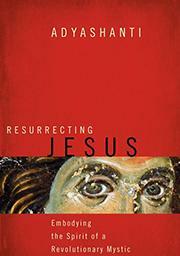 In the same way that good poetry evokes and enlightens something within us, the Jesus story is meant to do the same—to illuminate a clarity of consciousness where we see Christ . . . AUDIO DOWNLOAD ~ Holiday Special! Talks from the May 2018 Tahoe Silent Retreat. Topics include: Untying the Knot of Ego, Beyond the Intimacy of Unity, The Key to Freedom, The Primal Contraction, Connecting Love and Truth . . .
Vital pointers for new and longtime meditators. Topics include: How the Mind is Spontaneous, Experiencing the Collective, The Divine Ground, Meditation as Prayer, A Useful Kind of Listening . . . There is an evolutionary edge between the familiar and unknown territories of our direct experience. 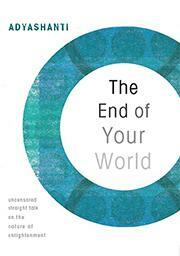 Adyashanti describes how living on this edge is an essential aspect of the spiritual quest . . . Many spiritual seekers fall into the trap of their spirituality being oriented around the egoic perspective. Within their desire for a happy and fulfilling life, their ego highjacks their . . .
BROADCAST DOWNLOAD ~ Holiday Special! In response to a question about the dark night of the soul, and the “ exquisite agony” of ego being stripped away, Adyashanti offers a 90-minute talk about awakening from the storyteller. With . 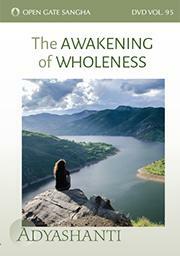 . .
What actually awakens when we experience awakening? Adyashanti first describes how awakening involves a profound shift out of an egoic orientation that tries to navigate and . . .
DVD / AUDIO DOWNLOAD ~ Holiday Special! There is an intuitive capacity to perceive unity that only comes from the heart. It is a very deep, quiet, and intimate aspect of consciousness. 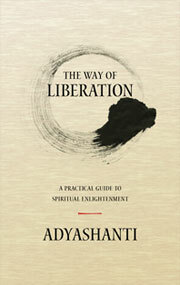 Adyashanti illustrates the kind of perceptual shift from the . . .
What is your actual experience of what you call “you”? 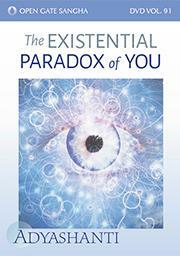 Adyashanti conveys a fundamental, existential paradox: You know that you exist, and yet when you look for yourself, you can’t find . . .
W hat would it be like to look at everything that happens in life not from seemingly compelling interpretations, labels, or judgments, but rather from the eyes of timeless innocence? . . .
Adyashanti’s stripped-down, practical guide to spiritual awakening outlines essential Foundations, Orienting Ideas, and Core Practices. Complimentary PDF available! . . . The story of Jesus has not waned in its power to change lives. Yet today, even though the majority of us grew up in a culture suffused by the mythos of Jesus, many of us feel disconnected from . . .
More and more people are “waking up” spiritually. And for most of them, the question becomes: now what? 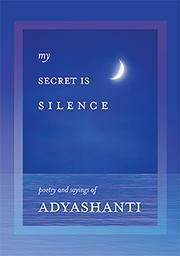 “Information about life after awakening is usually not made public,” explains Adyashanti. . . .
Adyashanti’s heartful, lively poetry is woven together with short teachings and “one-liners” culled from journals, dharma talks, and dialogues with students. With all the unpredictability of . . . In this unique retreat talk, Mukti shares flavors of her own journey and relationship to spiritual teachers, including Jesus, Yogananda, Buddha, and Adyashanti. Through stories and . . .
Navigating the path to self-knowledge requires engaging differing tracks of experience. 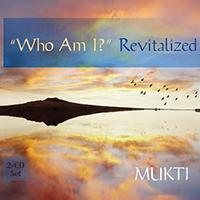 Mukti speaks to the personal and existential, or relative and absolute, tracks of this journey and to the . . . There is an unspoken koan that often perplexes seekers on the spiritual journey: "Do I trust the way life is seemingly unfolding or do I trust my internal compass and make my own path? . . . The classic question "Who Am I?" points directly to our true nature of being. Yet, as Mukti points out, there are many distinct ways to inquire with this timeless question, each affecting our . . . The world is hungry for a certain kind of contribution to well-being, both in the way we move externally in life, and in the way we relate to own internal experience. In this 2018 . . . 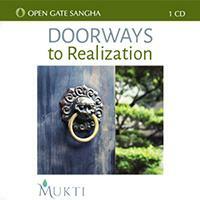 Experience the depth and expression of your fundamental being through Mukti's guided medtations. 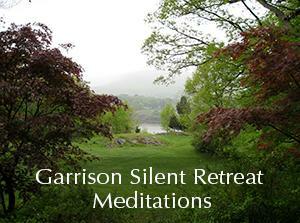 In this 4-download set, recorded live during a silent retreat at Garrison . . . There's a simplicity of our true being that can't be described. It's outside of any reference points and doesn't fit within the confines of any archetypal description of our humanness. Through . . . The term "awakening" is referenced in spiritual circles with a myriad of interpretations or inferences. What one person deems to be an awakening can differ from another. In this . . .
What is enough? How does enough present itself in our lives? Mukti focuses on diving into our patterns of dissatisfaction, seeking, and aversion in order to find the deep satisfaction that . . .
What is it that is living this life that's not defined by a notion of "me" or a separate self? 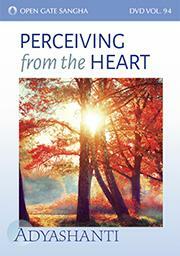 What is that is aware of our experience, and how is this different from a knowingness at the level of being? . . .
What is the heart of that which is calling you? In this special broadcast, guest teacher Mukti offers a paradigm-shifting investigation into the energy of wanting and the nature of self. As we shift . . . In this complimentary guided meditation that commences the 2017 Palo Alto retreat day, Mukti offers guidance on fully arriving here and rooting in the peace we already are. This arriving also . . . Participants understand that all events hosted by Open Gate Sangha will be recorded for use by Open Gate Sangha, Inc. Open Gate Sangha makes no representations or warranties as to any benefit that may be received by attending an event. 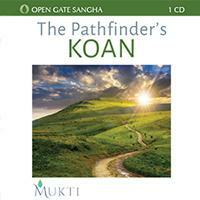 Open Gate Sangha provides access to the teachings of Adyashanti® and Mukti.